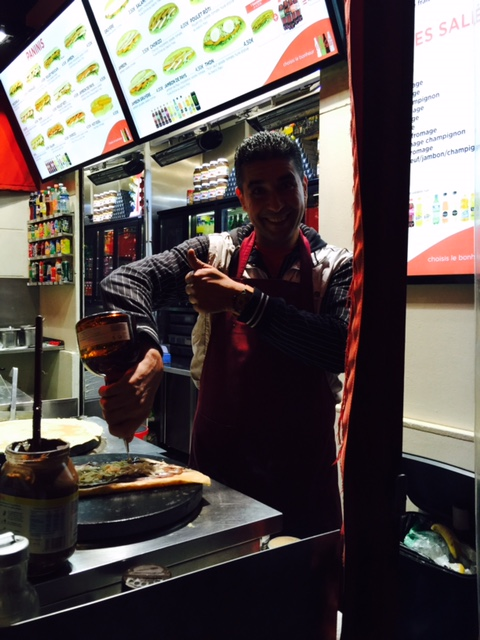 The best crepes are in Paris, France of course. Not only are they amazing, but you are in Paris, France. I tried to make them at home. 1. In a medium nonstick pan over medium heat, melt the butter. Once the butter is melted, continue cooking until the butter is golden brown. Remove from the heat and set aside. The residual heat will make the butter a little more brown, aim for golden brown before you turn off heat. 2. In a medium bowl, gently whisk the eggs, egg yolk, water, milk, and salt until just combined. Add the flour and whisk until smooth. Slowly pour the browned butter into the mixture, whisking constantly. 3. Using the same nonstick pan used to melt the butter, set the pan over medium heat. Use a 1/3 cup measure, scoop the batter and pour it into the center of the hot pan. Swirl the batter around and out to the edges of the pan the thinner, the better. Return the pan to the heat and cook for 2 minutes. Use a rubber spatula to lift up the edge of the crepe and flip the crepe over. Cook on the other side for 1 minute. 4. 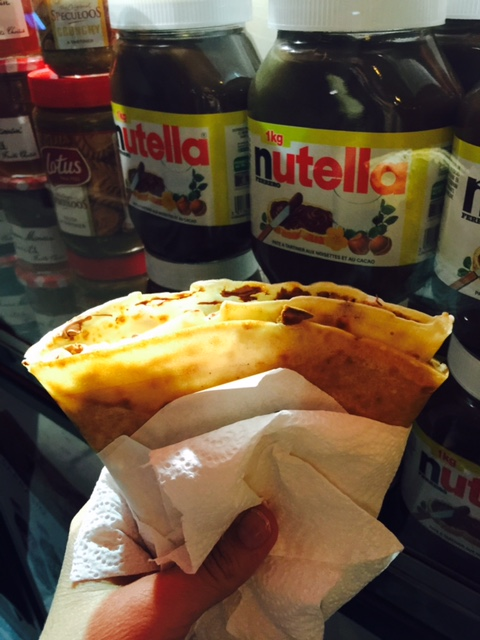 Slide the crepe onto a plate and spread with Nutella. 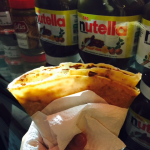 Fold the crepe in half, then fold in half again to form a triangle. Yummy!